The concept of One Health began as an interdisciplinary response to emerging infectious diseases of animal origins. Because the environment, animals and people all affect each other, the One Health approach is an ideal model for addressing health and safety in agriculture workers. If you are working with people you are also thinking about how the animals or the environment affect this person. If you are working with animals you think about how the people and the environment affect the animals. If you are working with the environment, you are looking at the people and the animals and how do those affect the environment. This video explains how this model is applied by looking at the responses to recent changes in pork production in response to consumer interest and having more humane production processes, such as, moving to different types of house of sows that are producing piglets. How does working with a number of animals instead of just one impact the safety of swine workers? Is there a difference in air contaminants created by different housing systems and what are the health implications for the workers? What about for the pigs? How do the changes in housing impact productivity? How do these changes impact the environment and potentially affect neighbors? 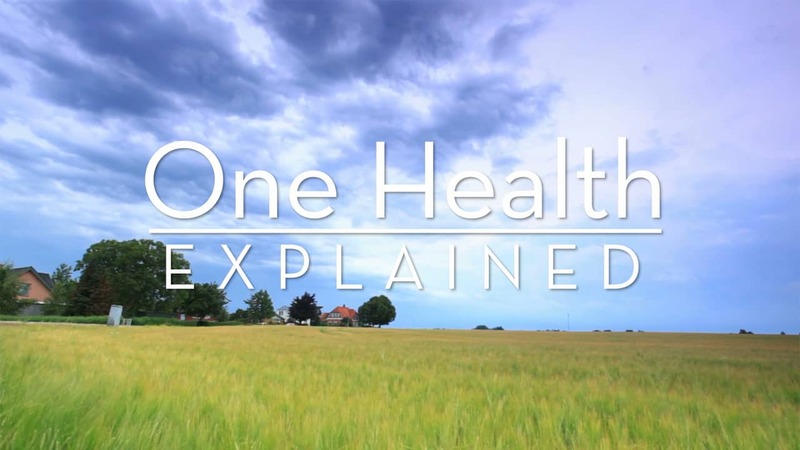 As one of the core principles of UMASH, the One Health model offers a chance to understand as well as address complex emerging and existing health and safety issues in animal agriculture using the expertise from many disciplines. This multi-disciplinary approach and engaging key partners to really understand the issues and then to respond to those issues.